Straczekite: Mineral information, data and localities. Named in honor of John A. Straczek (13 September 1914, Washington, USA - 2 November 2003, Connecticut, USA), chief geologist, Union Carbide Corporation, who made possible the study of the mineral. Pronounced strā'chek-ite. *Birth/death details, other than birth year, unverified. 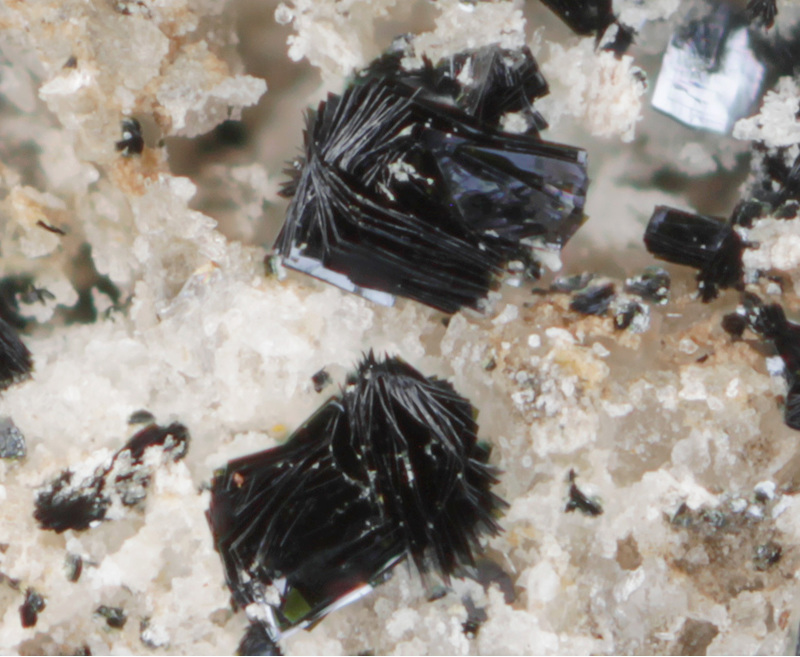 This page provides mineralogical data about Straczekite. Evans, Jr., H.T., Nord, G., Marinenko, J. and Milton, C. (1984) Straczekite, a new calcium barium potassium vanadate mineral from Wilson Springs, Arkansas. 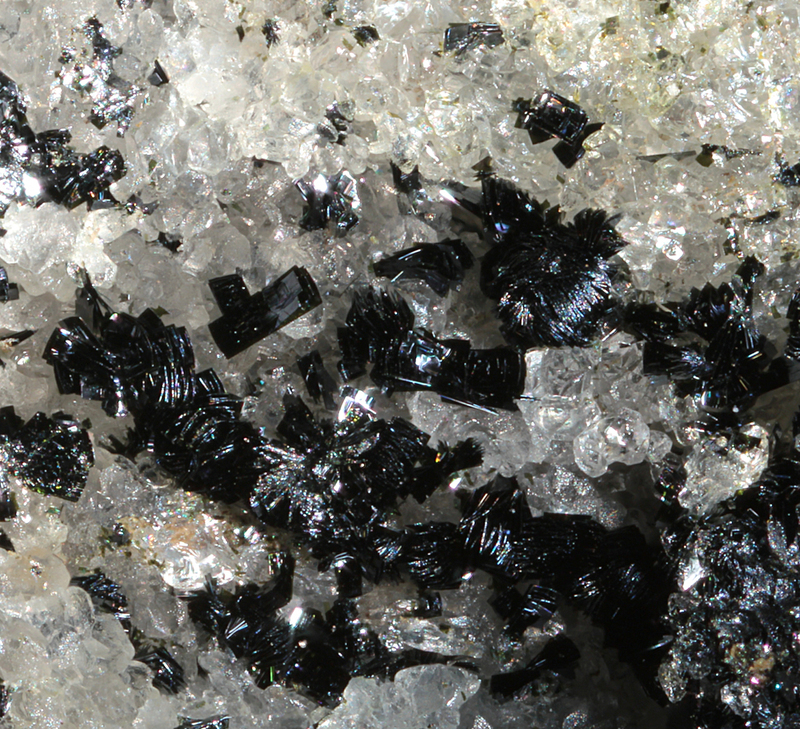 Mineralogical Magazine: 48: 289-293. Bariandite Al0.6(V5+,V4+)8O20 · 9H2O Mon. Bokite (Al,Fe3+)1.3(V5+,V4+,Fe3+)8O20 · 7.4H2O Mon. Corvusite (Na,K,Ca,Mg)2(V5+,V4+,Fe2+)8O20 · 6-10H2O Mon. Miserite 3 photos of Straczekite associated with Miserite on mindat.org. Wollastonite 3 photos of Straczekite associated with Wollastonite on mindat.org. Francevillite 2 photos of Straczekite associated with Francevillite on mindat.org. Calcite 1 photo of Straczekite associated with Calcite on mindat.org. 47.3.2.2 Corvusite (Na,K,Ca,Mg)2(V5+,V4+,Fe2+)8O20 · 6-10H2O Mon. 47.3.2.4 Bariandite Al0.6(V5+,V4+)8O20 · 9H2O Mon. 47.3.2.5 Bokite (Al,Fe3+)1.3(V5+,V4+,Fe3+)8O20 · 7.4H2O Mon. 47.3.2.6 Kazakhstanite Fe3+5V4+3V5+12O39(OH)9 · 9H2O Mon. Kutoglu, A. (1983) Kristallstruktur der calcium-vanadium-bronze CaxV4+2xV5+2-2xO5. Zeitschrift für Kristallographie: 162: 263-272. 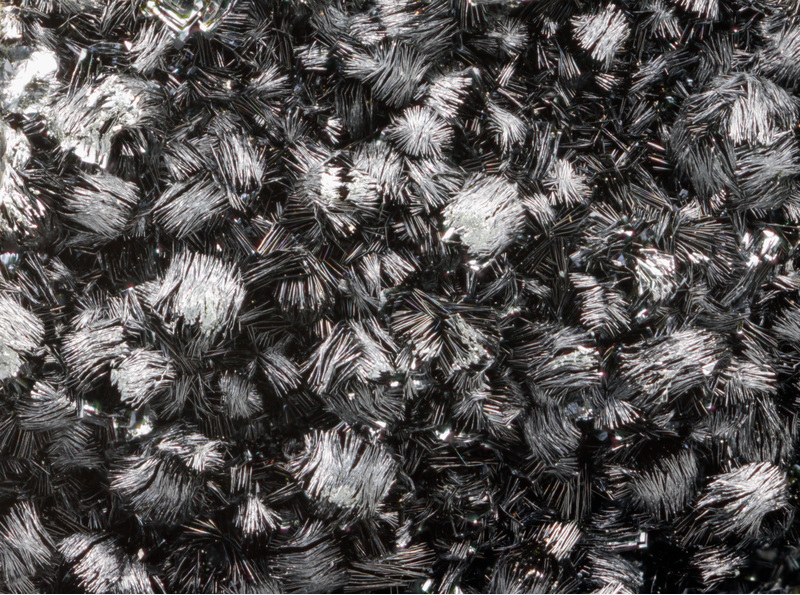 Evans, H. and J. Hughes (1990) Crystal chemistry of the natural vanadium bronzes. American Mineralogist: 75: 508-521; Grant, Raymond W., Bideaux, R.A., and Williams, S.A. (2006) Minerals Added to the Arizona List 1995-2005: 8.